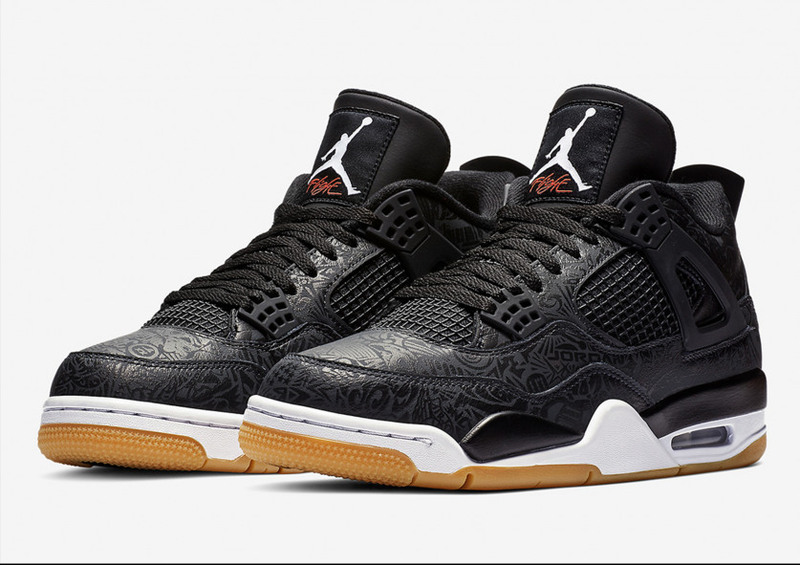 Made in celebration of the Jordan 4’s 30th anniversary, the Jordan 4 Black Laser features a blacked out upper and a contrasting white midsole. The upper is adorned with tonal graphics inspired by Michael Jordan’s illustrious career, including the Sick Game logo. 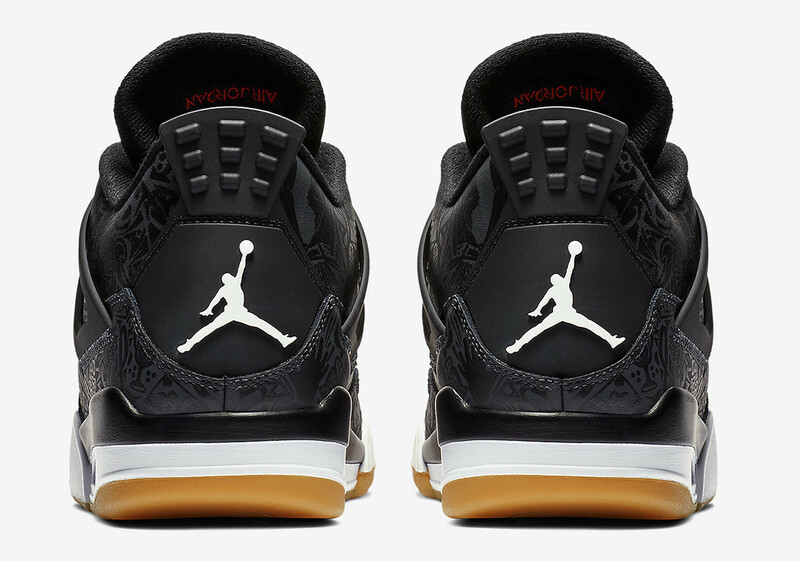 To complete the design, a gum rubber outsole sits underfoot for additional comfort and durability. 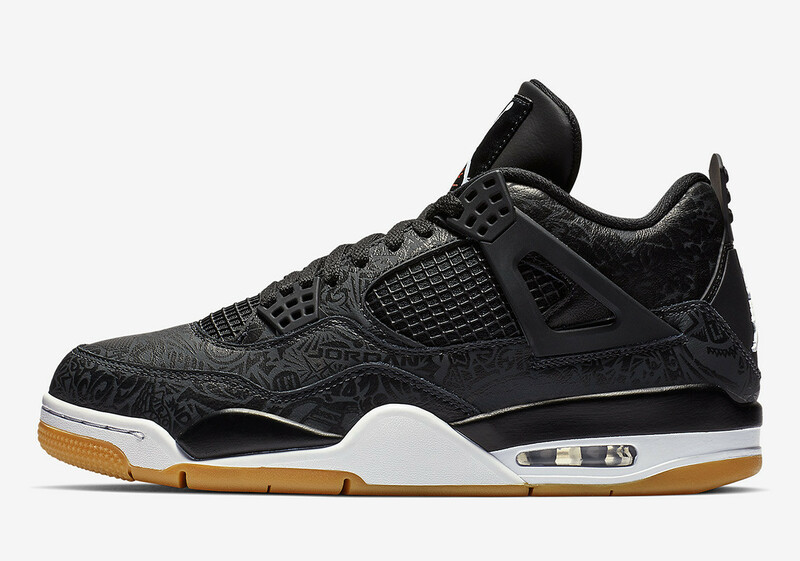 The Nike Air Jordan 4 SE Laser 'Black Gum' drops 19 January 2019 at selected retailers.